This Is Our Second Part Of Our Ludo Game Tutorial And In This Part, I Am Going To Write About how To Create Ludo Game Using Python And Tkinter Module. In Today's Post We are Going To write views.py Script For Our Ludo Game. 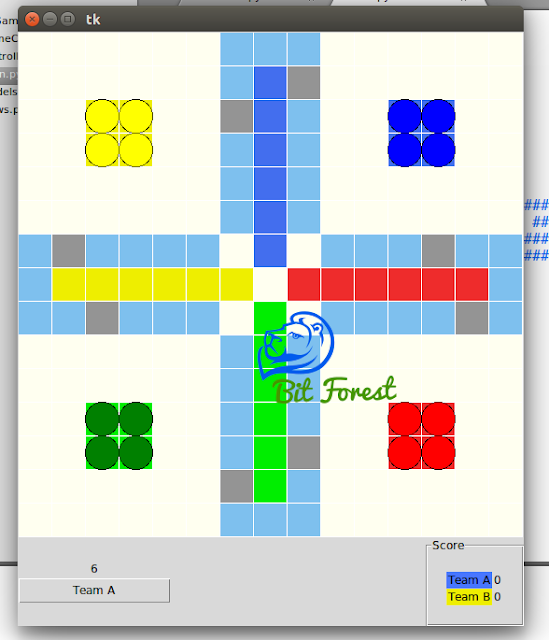 As I Already Described In My Previous Tutorial, To Run This Game First We will Create A Grid Of Squares In Tkinter Canvas That Will Act as A Ground Level Track For Our Tokens And Then We Will Create Different Roots For Our Tokens To Run On This Main Track According To Ludo Game Rules. So, Here I Am Writing a views Script Of Ludo Game To Manage All Of These process In Simple Manners. And In Our Next Tutorial, We Will Continue This Tutorial.